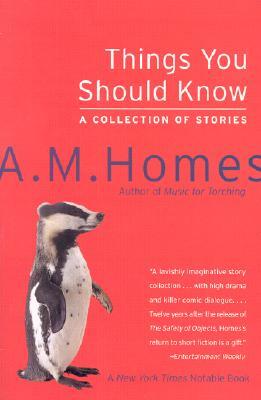 A.M. Homes is the author of the novels The End of Alice, In a Country of Mothers, and Jack, as well as the short-story collection The Safety of Objects and the artist's book Appendix A. Her fiction has been translated into eight languages, and she is the recipient of numerous awards, including a Guggenheim Fellowship and a National endowment for the Arts Fellowship. Her fiction and nonfiction appear in magazines such as The New Yorker and Artforum, among others, and she is a contributing editor at Vanity Fair, Mirabella, Bomb, Blind Spot, and Story. She teaches in the writing programs at Columbia University and The New School and lives in New York City. Haunting, disturbing, often radiantly intense, these protean stories change shape as if they are made of fire.